Showing marijuana leaves and stripper poles in a church is such a Fashion thing to do. That's right, Alexander Wang sent 90s-tinged street looks featuring drug references, strippers, and prison down the runway at Saint Bartholomew's Church in an explicit denunciation of the line between sacred and secular. It's the kind of borderline offensive thing only one of New York's favorite designers could get away with, and judging by the amount of Instagrams and Snapchats of the show, it was a huge success. You just know those stripper sweaters are going to be everywhere come next Fashion Week. Several designers harkened back to simpler times where corsets and leg of mutton sleeves were all the rage. Rodarte got gothic with dainty lace and veiled brides, while Marc Jacobs went totally theatrical with full skirts and coats adorned with raven feathers and brocades. 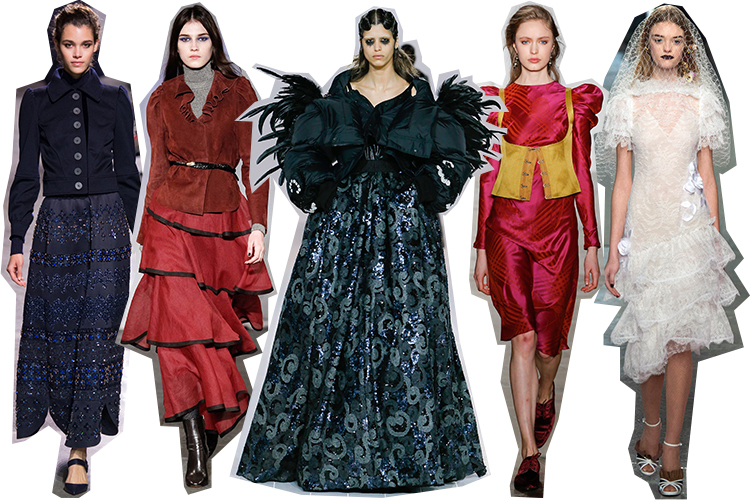 Don't be afraid to get a little dramatic with 1800s-inspired styles this fall. Once again, the J. Crew presentation gave me plenty of outfit envy as well as styling inspiration. Somsack Sikhounmuong, the new head of womenswear at J. 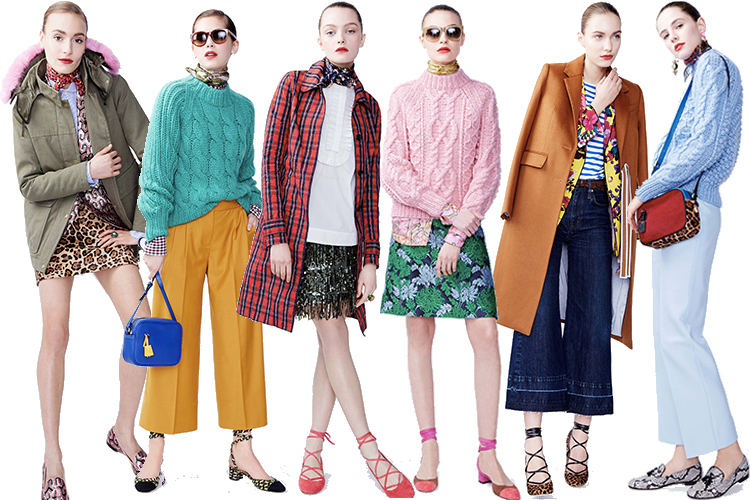 Crew, is off to a promising start with a collection full of bright colors, print clashing, and awesome layering. I'm happy to see J. Crew return to its preppy cool roots; it's at its best when it's not trying to be something else. Also, as long as they try to answer the eternal question "What would Jenna Lyons wear?" J. Crew's gonna be all good. 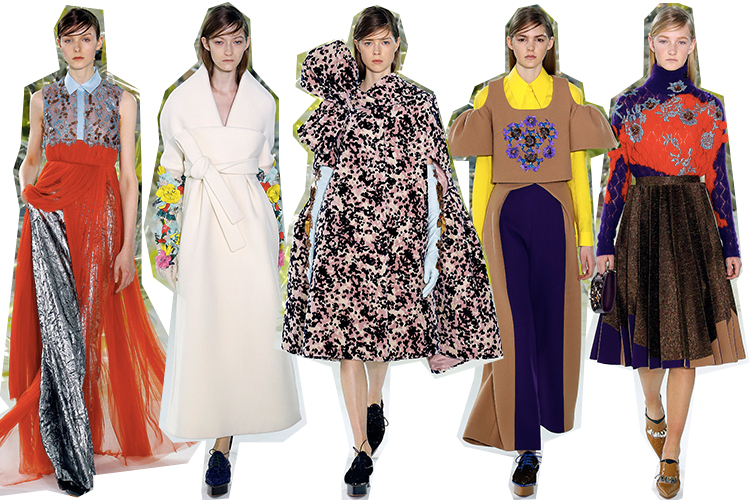 Josep Font has become the most consistently exciting designer at NYFW. 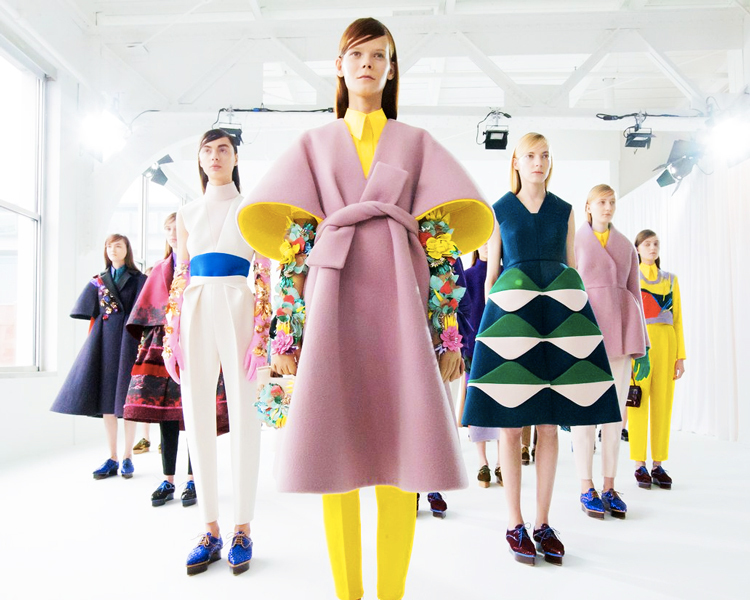 His collections for Delpozo are fun and inventive and breathe life into what can get to be a rather redundant week of fashion. These clothes aren't for the faint of heart, but they are gorgeous, with an attention to detail that few non-couture designers give. I said this on Tumblr, but I think Josep Font could be a great fit for the head designer job at Christian Dior. Are We Ready For the Return of the Tracksuit? Pam & Gela (from Juicy Couture founders Pamela Skaist-Levy and Gela Nash-Taylor) are trying to bring their infamous velour tracksuits back. Are we far enough removed from the early 2000s already that those styles are coming back around again? It certainly feels that way. While it remains to be seen if customers will flock back to the tracksuit, several other designers like A.P.C. and Assembly are featuring luxe athleisure tracksuits in their collections, so brace yourselves. 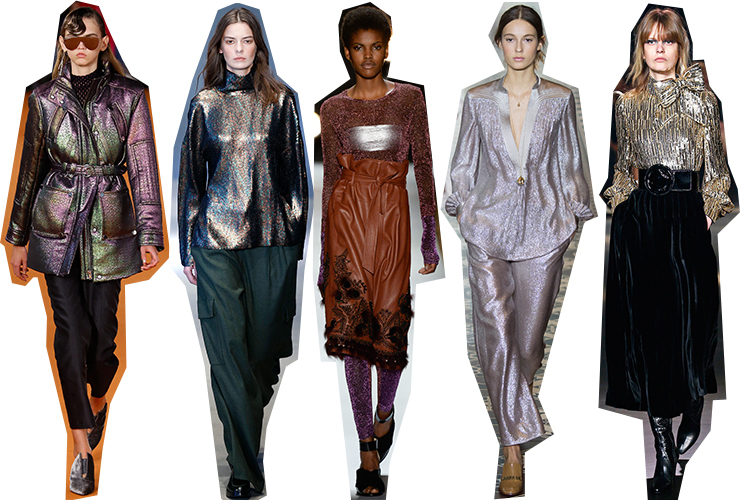 Metallics and iridescent fabrics were all over the NYFW runways, from evening gowns to simple T-shirts and pants. For the fashion girl who is looking for an easy way to add intrigue to her outfit, metallics are the way to go. We already see the numerous reiterations of the Gucci gold accordion pleat skirt; expect for this style to remain popular for the foreseeable future. What were your favorite NYFW moments? Let me know in the comments! These are amazing NYFW photos. All these outfit look fantastic. 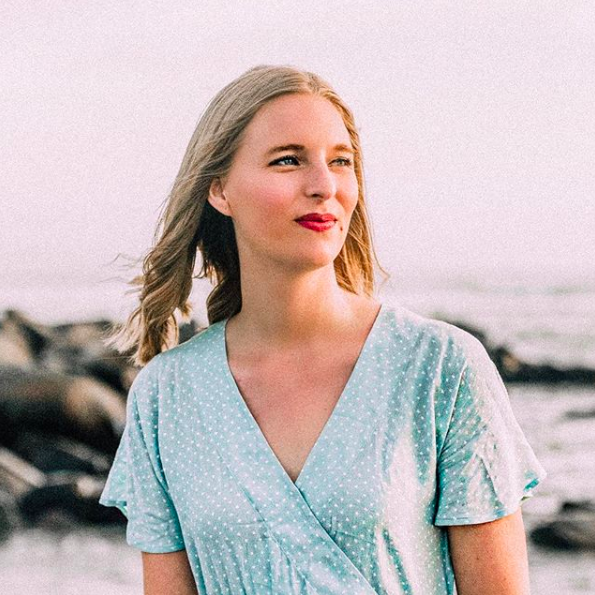 I am a startup fashion designer and is so much inspired with these designs. I will be taking part in a fashion event very soon at one of event venues in NYC. I am feeling really nervous!! Glad you liked them, Wenni! That's so exciting for you, I'm sure it's going to be a huge success! Congratulations!